The World Famous Restaurant and Sports Bar. The World Famous Cask 'n Flagon began as a small neighborhood bar known as Olivers. What was once known as the little bar on the corner of Brookline Avenue is now a landmark location for die-hard Red Sox fans, college students, locals and tourists. Mention the Cask 'n Flagon anywhere, anytime to anyone and chances are they have probably been here. Inside the Cask 'n Flagon many have said that it is as synonymous to Fenway Park as the infamous Green Monster and the Citgo sign. After thirty-five years, the Cask 'n Flagon still holds the heart of Boston. Its walls are filled with black and white photographs of old time baseball greats such as Bobby Doerr (#1), Joe Cronin (#4), Carl Yastrzemski (#8), Ted Williams (#9), Carlton Fisk (#27), and many others. 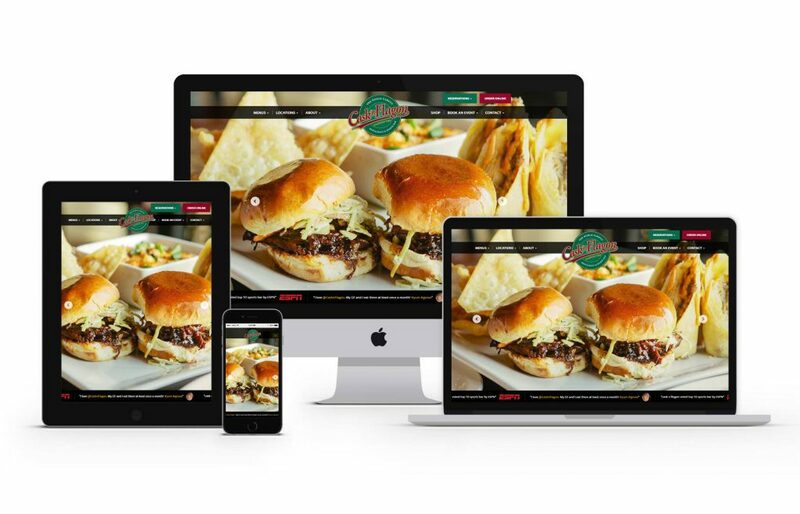 The Cask'n Flagon had challenges when it came to web strategy and a multi-device friendly website. After proper web strategy and planning, the new web project was underway and through a few different design options and fine-tuning, the new clean and simple layout was approved. Part of the approach had a focus on distinguishing between both of their locations where most people know their Boston, MA location, but still growing in digital presence is their Marshfield, MA location. We helped to solve this challenge by guiding website visitors towards one or the other location (this also sets them up for easier growth with future locations). 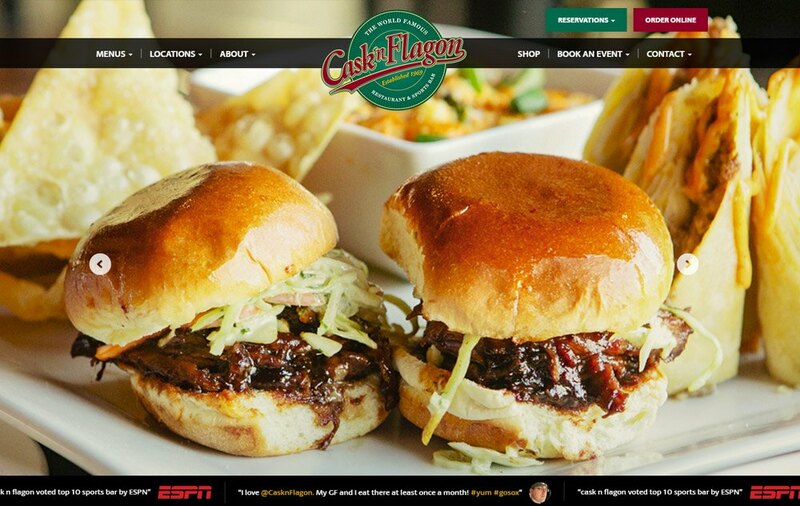 In addition to those website project elements, the new Cask'n Flagon website was built using WordPress as the CMS (Content Management System) along with a fully mobile and tablet friendly design leveraging Bootstrap for the responsive framework so website visitors are certain to have a flawless experience on any of their devices from mobile to tablet to desktop. Next time you visit Boston, make sure to visit Cask'n Flagon!